The Atacama Desert is a strip of land in northern Chile that reaches into portions of Bolivia, Peru, and Argentina. Within it lies a region 10,000 feet in elevation that, thanks to a double rain shadow, is so intensely dry that nothing, not even microbial life, can survive. Rain falls in this region perhaps once every 10 years, and even then precipitation is paltry. This area is so desolate and devoid of life that NASA scientists consider it Mars-like and have used the area to test equipment that is bound for Mars. Studies have found that the soil in this region is similar to Martian soil – so similar, in fact, that it is now being used to test the feasibility of growing potatoes on Mars. The study is being carried out by NASA in collaboration with Centro Internacional de la Papa (CIP), an agriculture research institution based in Lima, Peru. The efforts consist of an initial series of three experiments. Apart from investigating methods for growing potatoes in a Martian environment, researchers hope to develop ways to improve potato production on marginal land here on Earth in order to increase yields and provide a sustainable source of food in parts of the world that so desperately need it. The wild crop relative of the cultivated potato (Solanum tuberosum) is native to the Andes. 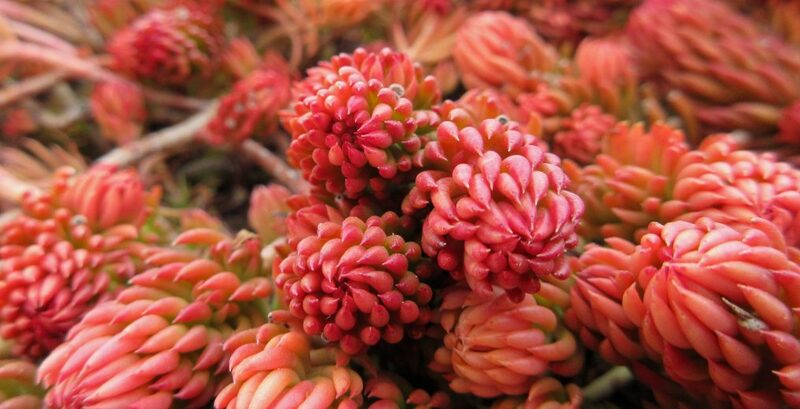 It was originally domesticated by the indigenous people of Peru at least 8,000 years ago. Spanish explorers brought potatoes back to Europe around 1570, and over the next several hundred years cultivation of potatoes spread throughout the world. It is now one of the world’s top 5 food crops and is a staple food source in many regions. So why not Mars? The first phase of experiments is currently under way. 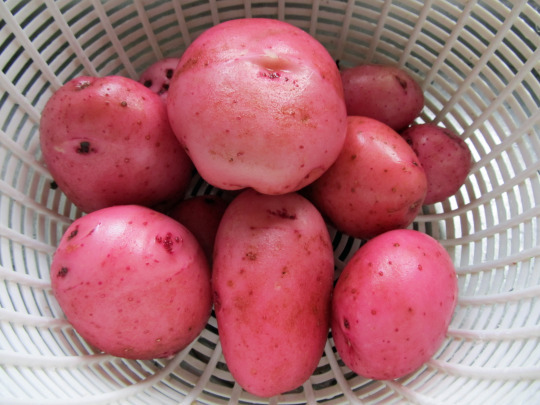 A selection of potato cultivars that have attributes such as quick maturity, virus resistance, tolerance to high temperatures, and resistance to drought are being grown in soil taken from the Mars-like region of the Atacama Desert. The second phase will consider the transportation of the potatoes from Earth to Mars, a nine month journey. The harvest from the first experiment will be frozen, thawed, and then planted to determine if the propagules remain viable after making the journey through space. The final phase of the experiments will entail growing the potatoes inside of CubeSat modules in which a Mars-like environment can be simulated. The specifics of these studies vary across multiple reports, so this may be a slight misrepresentation of the actual research program. As official reports emerge, the exact methods will be more clear. According to this post on the CIP website, this collaboration is “a major step towards building a controlled dome on Mars capable of farming the invaluable crop in order to demonstrate that potatoes can be grown in the most inhospitable environments.” The post goes on to laud the nutrient benefits of the potato and its potential to address issues of food security, poverty, and malnutrition. As NASA seeks for ways to sustain an eventual human mission to Mars, CIP looks to address global hunger. Together they see potential in the potato. Space programs, even those that seem overly ambitious, offer benefits that can extend into all aspects of our lives. That is why I remain intrigued by experiments such as these that involve growing plants in space or on other planets. We may never find ourselves mass producing food for human populations outside of Earth (or maybe we will), but what we can learn in the process of simply seeing what is possible has great potential to increase our botanical knowledge and improve agricultural efforts here on our home planet. Thanks to Franz Anthony, Awkward Botany now has an official logo. Franz is a graphic designer, artist, and illustrator based in Sydney, Australia. Check out his website and his Tumblr, and follow him on Twitter and Instagram. Also, stay tuned for more of Franz’s graphic design and illustration work here on Awkward Botany. This entry was posted in Botany, Horticulture and Agriculture and tagged agriculture, Atacama Desert, Botany, CIP, Franz Anthony, journey to mars, Mars, NASA, Peru, plants in space, potaotes, potatoes on mars, soil, space exploration, The Martian. Bookmark the permalink. 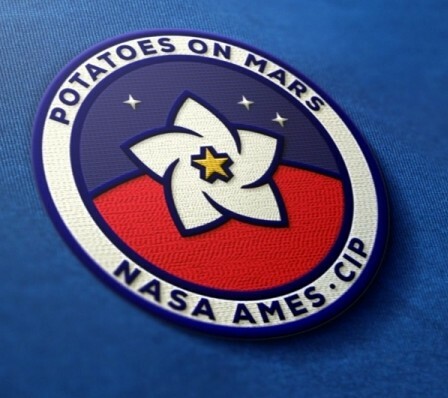 Fascinating post, since there are going to be potatoes, I could probably go to Mars now. Interesting idea, I hope the project is successful!